Finally, Uttarakhand District Cooperative Bank has Declared the Result of Group 1 (Senior Branch Manager / Section Officer) and Group 2 (Junior Branch Manager / Senior Assistant) post. 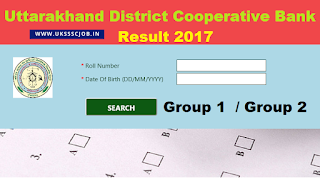 You can check Uttarakhand district Cooperative Bank result, cutoff marks, merit list here.Candidates who appeared in Uttarakhand District Cooperative Bank exam 2019 can check their marks on the official website of GB Pant University or by the direct link given below. Candidates who have forget their roll no d,nt panic. Here we are providing downloading link of admit card so that you can check your result. 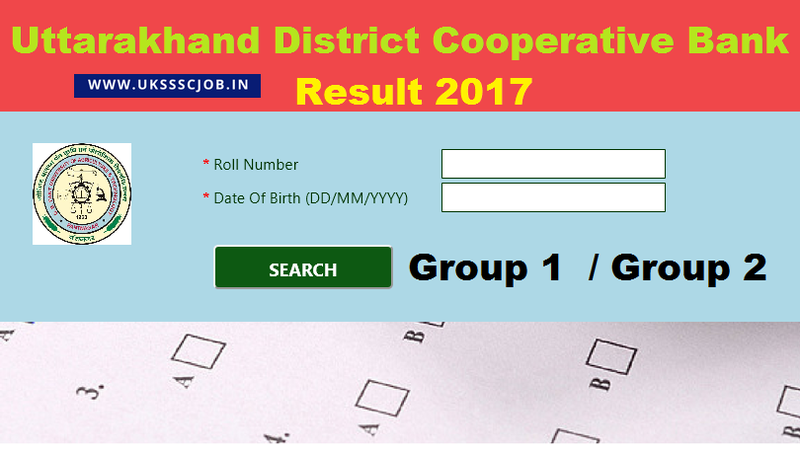 Uttarakhand District Cooperative Bank Merit List 2019: Uttarakhand District Cooperative Bank has declared the final selection merit list and cutoff marks for the Uttarakhand District Cooperative Bank Exam 2019. Candidates can check the final selection list below .